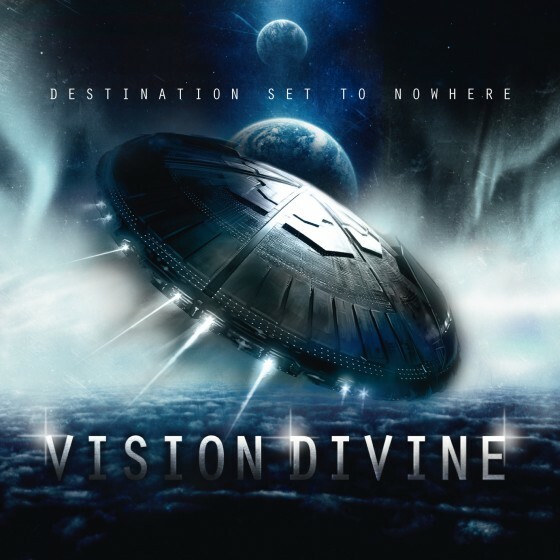 Progressive power metal troupe, VISION DIVINE, recently posted a new track, “Mermaids From Their Moons,” from their forthcoming new full-length. Titled Destination Set To Nowhere, the 11-track concept album is scheduled to drop in North America on September 18, 2012 via Eagle Rock imprint Armoury Records. Featuring founding guitarist/songwriter Olaf Thorsen (Labyrinth) and singer Fabio Lione (Rhapsody, Rhapsody Of Fire, Kamelot live), the band’s seventh studio offering delivers a melting pot of epic metal anthems with a futuristic concept that follows a man’s journey through outer space in a quest to escape the social and political injustices of Earth.